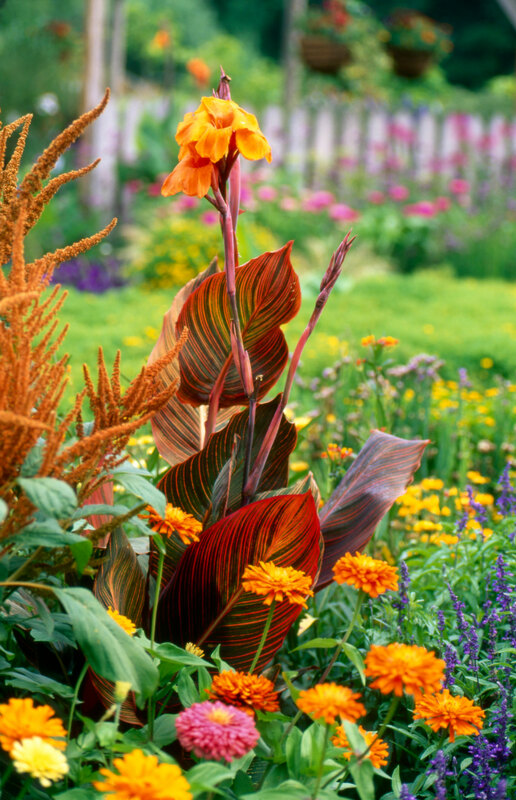 If you want to add a big splash of color to your garden with a very small amount of effort, plant some cannas. Their bold foliage, impressive size and brilliant red, yellow and orange flowers always get noticed. 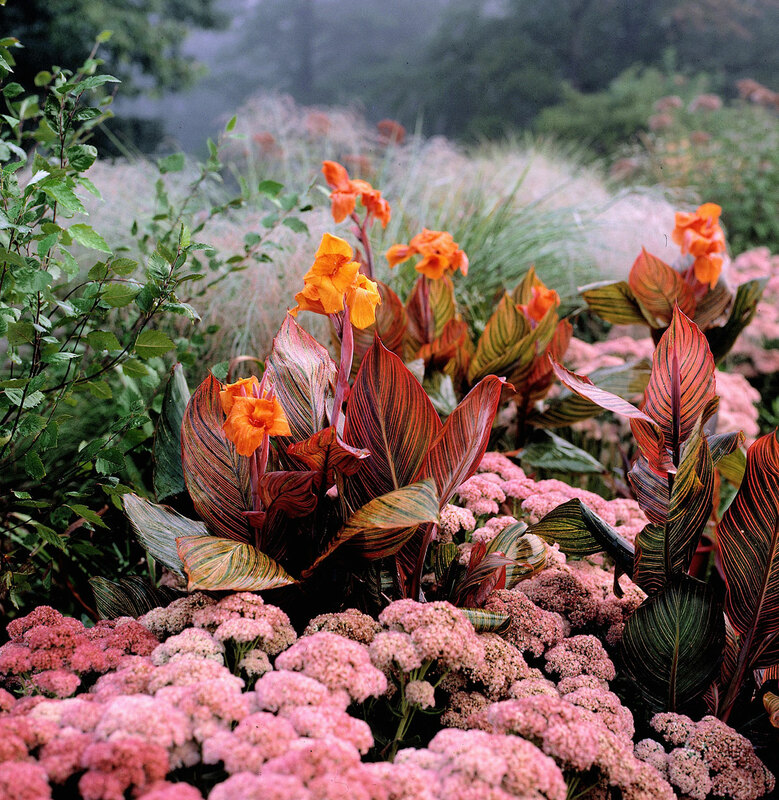 Cannas look fantastic planted in perennial gardens and make a fabulous living hedge. They look equally amazing in containers. So if you’re ready to turn up the wow factor, you need cannas. And in particular, Tropicanna! Cannas were wildly popular back in Victorian times when exotic plants and over-the-top planting schemes were all the rage. But gradually, along with most things Victorian, cannas fell deeply out of favor. It took more than a century, but cannas are now back in style and that’s largely due to one spectacular variety. In 1997, an Australian horticultural company named Tesselaar Plants released a new canna variety called ‘Tropicanna’. 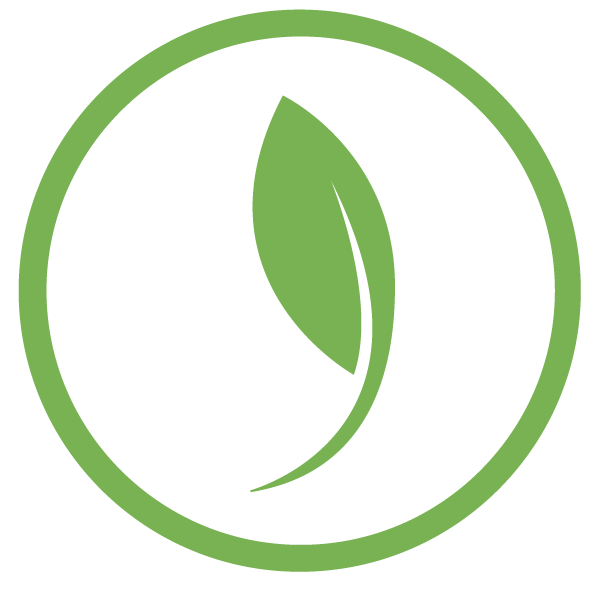 Tesselaar’s business is finding plants with outstanding genetics, putting them through years of rigorous testing, and bringing them to market. (The company is also responsible for introducing Flower Carpet roses and Bonfire begonias.) 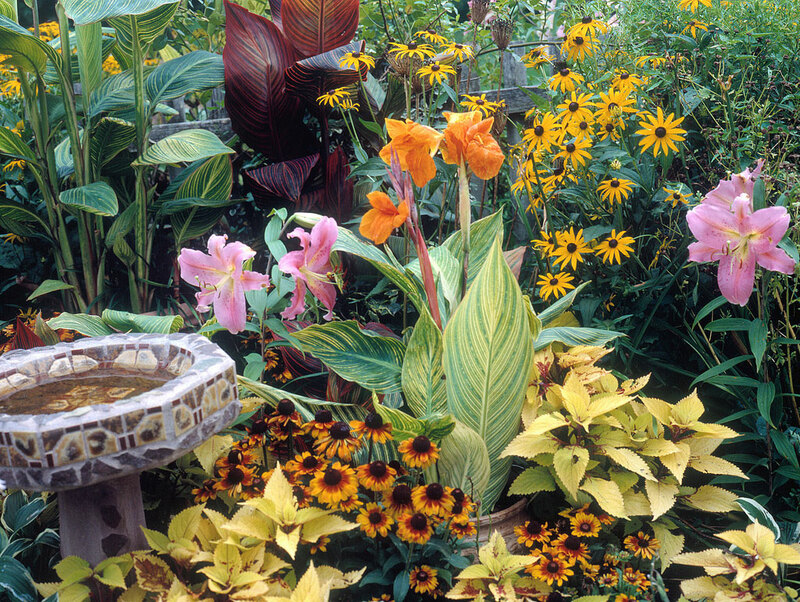 Today, Tropicanna is a recognized brand throughout the world, and cannas are once again a fixture in summer gardens. Foliage has always been the canna’s most attractive feature. Tropicanna raised the bar, adding a whole new standard for exciting foliage. 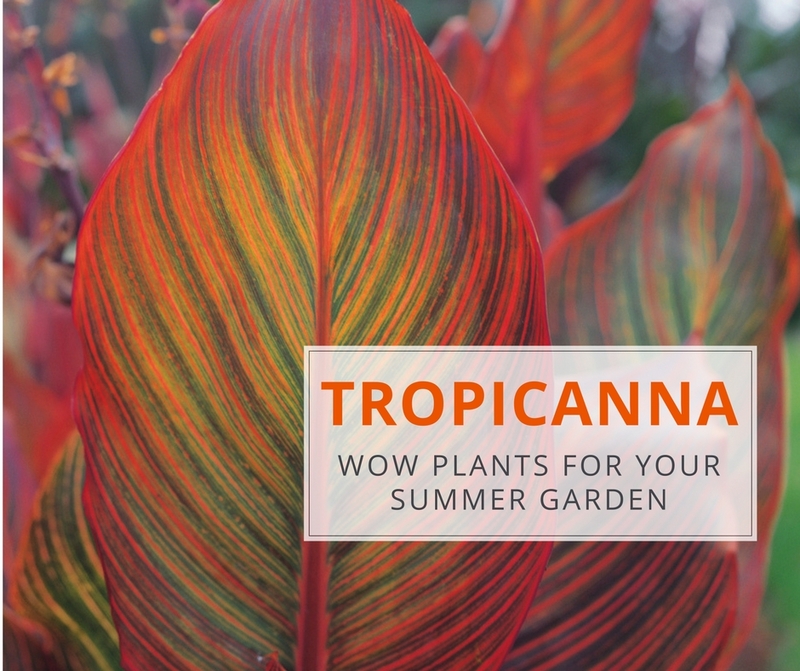 While the leaves of most cannas are emerald green or burgundy, Tropicanna’s leaves feature alternating bands of dark green, gold, pink, red and orange. 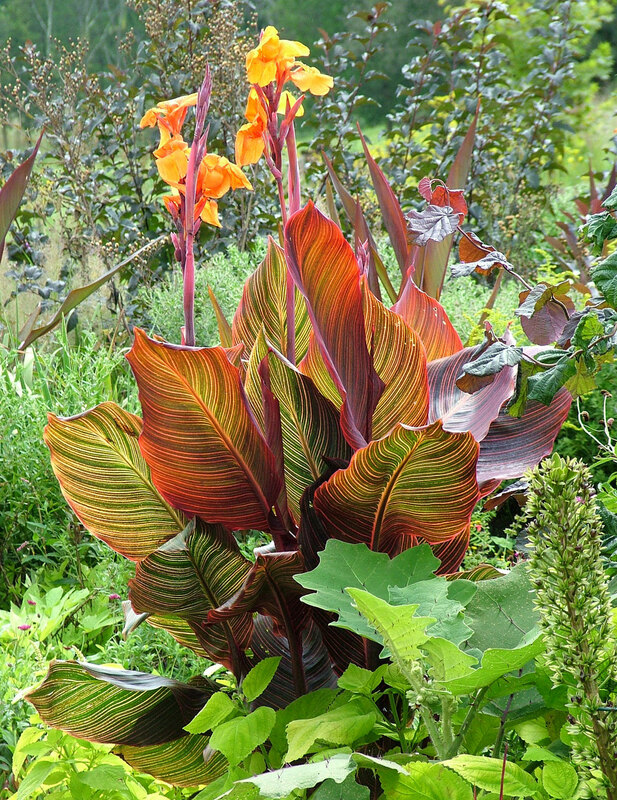 With such fabulous foliage, this canna could get away without producing a single flower. But Tropicanna does it all, and its glowing orange blossoms are a perfect finishing touch. Plant breeders sometimes sacrifice vigor in favor of beautiful flowers and foliage. That’s not the case with Tropicanna. These plants start the season as potato-like tubers (rhizomes) and grow with lightning speed. In just 3 to 4 months they can reach 5-feet tall, with leaves as long as your arm and flower clusters that top 6 feet. Wherever you plant them – in a garden bed or in a container – these cannas always steal the show. Along the way, two other Tropicannas joined this colorful family. 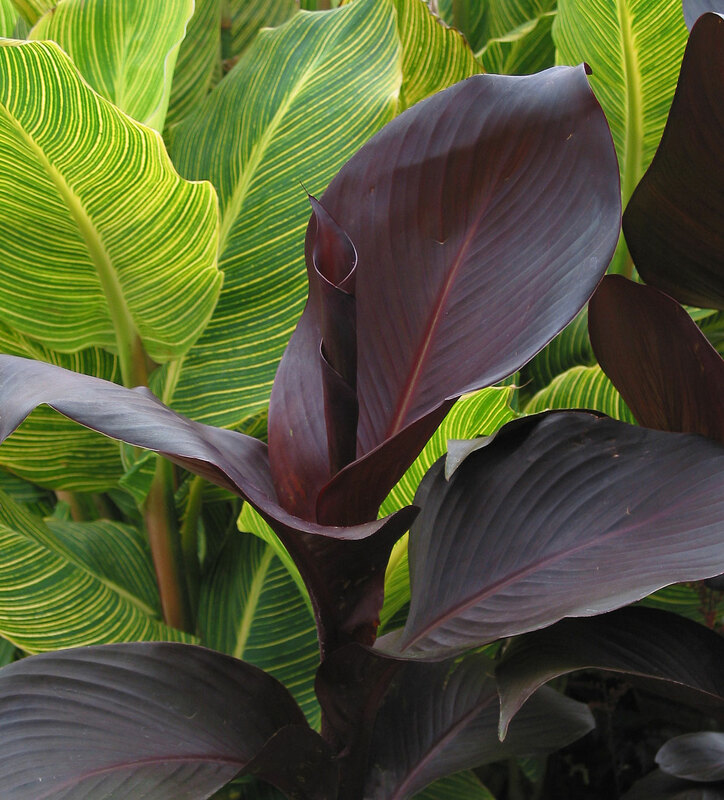 Tropicanna Black has dark maroon leaves with a burgundy-red mid-rib. Its brilliant, scarlet-orange flowers are an irresistible draw for hummingbirds. Tropicanna Gold has lime green leaves with perfectly spaced lemon-yellow stripes and a bright yellow mid-rib. Its flowers are golden-yellow and the petals are sprinkled with orange markings. Cannas are native to the tropical regions of Central and South America. These are tough plants that ask for nothing more than warm soil, plenty of sun and enough moisture to quench their thirst. They are equally happy growing in containers or right in the ground. Though rarely troubled by insects, cannas are vulnerable to viruses. For this reason, it’s important to always start with healthy, high quality tubers. Tropicannas are propagated by tissue culture and the process is tightly controlled to minimize virus problems and ensure every tuber will reach its full potential. 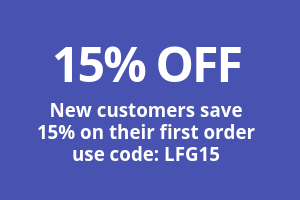 Ready to shop for some Tropicannas? All three varieties are available HERE. To learn more about growing cannas, read All About Cannas. Hi Marie – Cut off that seed head and keep cutting off any spent flowers.